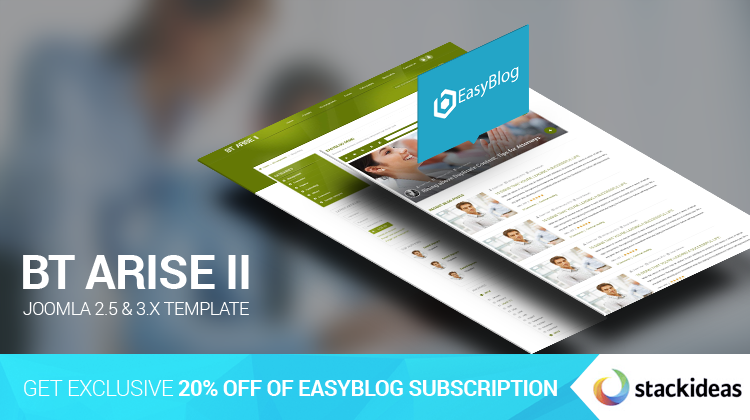 BT Arise 2 is our latest multi-purposes template which is smoothly integrated with EasyBlog. BT Magazine Free for digital magazine, technology blog, or online news sites. This offer will expire at midnight (PST) on February 5th, 2015. Hurry up and get this crazy deal from EasyBlog!